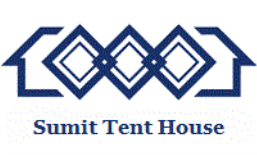 Sumit Tent house & Decorators is the perfect party and ceremony Organisers. which one of the best tent house in Madhya Pradesh. Each year we'r improving service and doing our best. If you need best party and ceremony Organisers that let you know you're truly taken care of here. Whether you're planning a wedding, party or a corporate event, we have the tents and accessories to make your event special. We can also provide everything that may be needed to go under the tents. The traditional collection of our tents is ideal for garden, weekend parties,theme parties, weddings etc. Tents are designed keeping in mind the weather conditions and location to make the user more comfortable. These tents are gaining momentum and comfort, Designed and provide a charming setting for your garden or event.